This crazy world has us forgetting what we are here for and why we came. I was personally caught up in the crazy-making competitive, trophy-accumulating physical world so deeply that I lost sight of what matters most and why I was incarnated into this time and space. As I lived from this disconnected place I began to become ill and deeply depressed. My spirit was calling out to me and my body was showing me through dis-ease how much I needed to change the way I was living. By a series of synchronistic encounters I met a dear teacher and integrative medical doctor who showed me that the secret to my own healing lay in my surrendering to complete SELF-LOVE, self-forgiveness and self-acceptance. I felt HOPE for the first time in decades. 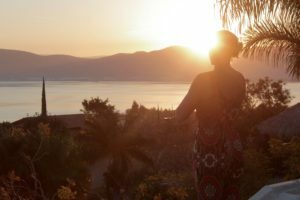 As I began to excavate the layers of my pain, shame and self-loathing and practice the principles of "radical self-care" I began to fall in love with my life and my own divine being. I recovered my health and am now thriving with love and life force. I have lived the lowest lows and climbed out of my own pit of depression to meet my higher self at the top of the mountain. She was patiently waiting there all along with compassionate understanding. Now it is my life's mission and contribution of gratitude to be a guide on your journey to self-love. To be your LOVE SHERPA as you climb to meet your magnificent true being. YES, she waits for you with open arms BUT it does require dedicated practice to get there. I can show you how I did it through my signature system of simple steps and give you that gentle yet firm push to keep pressing onward and upward one step at a time. It is my honour to be a "wounded healer" who has learned from experience, a Self-Love Sherpa to show you your path to power, and a sort of 'match-maker' to introduce you to your one and only true love and most important relationship of your life; that of you to your true self. BE the LOVE you seek. Create the life you LOVE.